Commitment to infrastructure secures the digital future of our region. As Vocus Group marks the completion of the US$170 million Australia Singapore Cable (ASC), chairman Bob Mansfield says the company owns close to 40,000km of fibre, including over 4,200km in NZ, more than 23,000km deployed since 2013 across all of Australia’s mainland states and territories, as well as 11,500km of subsea cables. 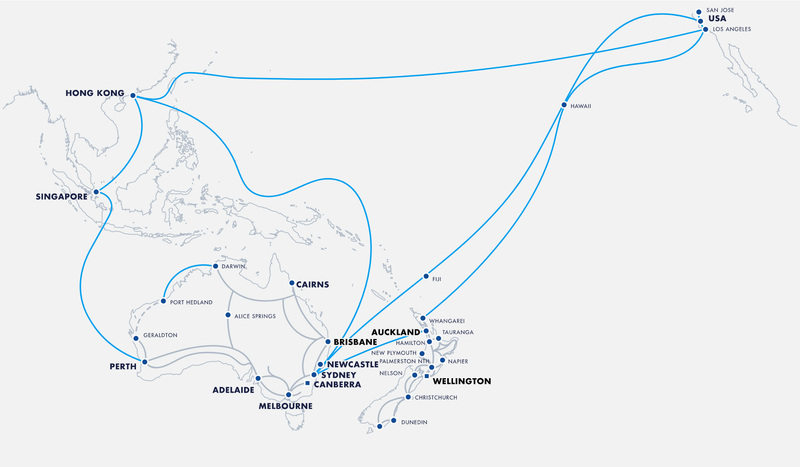 While many people don’t know it, almost all of the Internet traffic from New Zealand to the world goes by subsea cables, with increasing demand from New Zealand to south east Asia. Delivery of this sophisticated and incredibly complex project will enable Vocus to be more competitive in the area of international transit and will support the ever increasing capacity demands to this part of the world. Mansfield also outlined the progress on the Coral Sea Cable system, which is being constructed on behalf of the governments of Australia, Papua New Guinea and the Solomon Islands, and referenced the work that Vocus was doing with the Northern Territory government to build a new submarine fibre optic cable to the Tiwi Islands. “These multi-million infrastructure projects represent our commitment to meeting customer demand and recognises the growing requirements for affordable and trusted connectivity with our closest Asian trading partners,” he said.